If the fennel bulb has fronds, cut the fronds from the bulb and reserve some of the leaves for garnish. Cut fennel bulb in half and remove the core. Slice as thinly as possible with a sharp knife. Whisk together the olive oil, lemon juice, maple syrup, chia seeds, salt and pepper. Add a handful of greens to 4 salad plates. 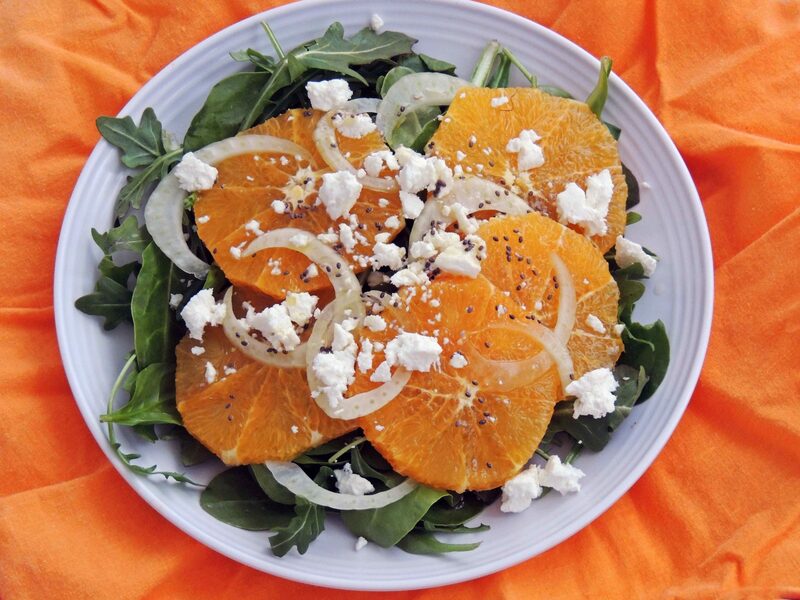 Arrange the orange and fennel slices over the arugula. Drizzle with the dressing and sprinkle with crumbled goat cheese. Garnish with reserved fronds.